• Show is a review of 1986- Includes interviews, highlights, and other various segments from the year. • Andre The Giant/Hulk Hogan SNME Highlights- Andre wins the title. • Ted Dibiase Int- Dibiase bought the title from Andre. • Jack Tunney Int- Tunney says the title will be held up. • Test of Strength: Ultimate Warrior vs. Hercules- Vince McMahon loves the muscles. You can tell he was the head guy back then as well. • Virgil vs. Randy Savage- Ted Dibiase would get involved which would lead to a brawl with wrestlers coming out to seperate them. • Rockers vs. Scrubs- Could be the Rockers WC debut, unless they were on in 87 and I forgot. • Brother Love Interview- Brother Love also makes his debut. • Brother Love Show with Jesse Ventura- The Mega Bucks try to pay off Ventura. • Jake The Snake Roberts vs. Rick Rude- From SNME. • Mr. Perfect vs. Scrub- Mr. Perfect makes his wrestling challenge debut. • Powers Of Pain vs. Sandy Beach and Brian Costello- Disc skips a bit here. • Dino Bravo vs. Ken Patera- From SNME. • Mr. Perfect Interview- “I take a look at some of the people down here at ringside with the big thick glasses, and the hair long, and the bad cases of acne and I think to myself, how can these people go through life that unperfect.” Awesome line. January 10, 1988: The British Bulldogs vs. Terry Gibbs and Steve Lombardi…Ron Bass vs. Tony Atlas…Bam Bam Bigelow vs. Scott Casey…Danny Davis and The Hart Foundation vs. Doug Wellington, Sivi Afi and Steve Lombardi in a 6-Man Tag Team Match…Sam Houston vs. Terry Gray…Greg Valentine vs. Pete Sanchez…Koko B. Ware vs. Rick Renslow. January 17, 1988: Jake Roberts vs. Gino Carabello…Demolition vs. Omar Atlas and Rex King…Jim Duggan vs. Joe Mirto…”Ravishing” Rick Rude vs. Van Van Horne…Paul Roma and Jim Powers vs. The Conquistadors…The Ultimate Warrior vs. Brian Costello…The One Man Gang, Butch Reed and The Bolsheviks vs. Lanny Poffo, Rick Hunter and The Killer Bees in an 8-Man Tag Team Match. January 24, 1988: The Honky Tonk Man vs. Jerry Allen…Strike Force vs. Dave Wagner and Tiger Chung Lee…Ted DiBiase vs. David Stoudemire…Brutus Beefcake vs. Dusty Wolfe…The Islanders vs. Eric Cooper and Brady Boone…Don Muraco vs. “Iron” Mike Sharpe…Dino Bravo vs. W.G. Wellington. January 31, 1988: The Junkyard Dog vs. Tiger Chung Lee…Greg Valentine vs. Scott Casey…Sam Houston vs. Steve Lombardi…The Hart Foundation vs. S.D. Jones and Omar Atlas…Randy Savage vs. Terry Gibbs…Bad News Brown vs. Rex King…The British Bulldogs vs. Dusty Wolfe and Barry Horowitz. February 7, 1988: The Ultimate Warrior vs. Hercules Hernandez ….The Bolsheviks vs. Jerry Allen and Rex King…Paul Roma and Jim Powers vs. Gino Carabello and Brian Costello…”Ravishing” Rick Rude vs. Brady Boone…Butch Reed vs. David Stoudemire…Demolition vs. Omar Atlas and Rick Hunter. February 14, 1988: Don Muraco vs. Ken Johnson…The Islanders vs. Lanny Poffo and Eric Cooper…Bad News Brown vs. David Stoudemire…The British Bulldogs vs. Dusty Wolfe and Jose Estrada. February 21, 1988: Demolition vs. The Killer Bees…The Junkyard Dog vs. Steve Lombardi…Dino Bravo vs. Phil Newkirk…Jim Duggan vs. Terry Gibbs…The One Man Gang vs. Wellington Wilkins…Ron Bass vs. Van Van Horne. February 28, 1988: Koko B. Ware vs. Danny Davis…Butch Reed vs. Mike Richards…Brutus Beefcake vs. Brian Costello…”Ravishing” Rick Rude vs. Jim Evans…Bam Bam Bigelow vs. Frank DeFalco…Demolition vs. Sonny Rogers and Gary Jackson. 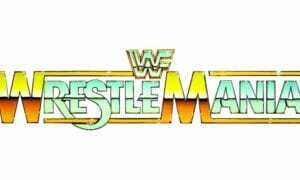 March 6, 1988: The Ultimate Warrior vs. Dusty Wolfe…Strike Force vs. Barry Horowitz and Dave Wagner…Ted DiBiase vs. Omar Atlas…Jim Duggan vs. Pete Sanchez…The Hart Foundation vs. Sonny Rogers and Jim Stewart…The Honky Tonk Man vs. Lance Allen. March 13, 1988: The British Bulldogs vs. “Iron” Mike Sharpe and Terry Gibbs…Greg Valentine vs. S.D. Jones…Don Muraco vs. Rick Renslow…Ron Bass vs. Scott Casey…Dino Bravo vs. Gary Jackson…Paul Roma and Jim Powers vs. Tom Stone and George Petraski. March 20, 1988: Randy Savage vs. Brian Costello…The Islanders vs. Mark Young and David Stoudemire…Hercules Hernandez vs. Reno Riggins…The One Man Gang and Butch Reed vs. Mike Richards and Eric Cooper…Jake Roberts vs. Tom Stone…Bam Bam Bigelow vs. Terry Gibbs. March 27, 1988: Brutus Beefcake vs. Dave Wagner…”Ravishing” Rick Rude vs. Lanny Poffo…Strike Force vs. Terry Gibbs and Barry Horowitz for the WWF Tag Team Title…Don Muraco vs. Bill Newkirk…Greg Valentine vs. Brady Boone…Jim Duggan vs. Brian Costello. April 3, 1988: Harley Race vs. Jim Evans…The Killer Bees vs. Pete Sanchez and Dave Wagner…The Bolsheviks vs. Scott Casey and Alden Kinsey…Ron Bass vs. Rick Hunter…Ken Patera vs. Jose Luis Rivera. April 10, 1988: The British Bulldogs vs. Terry Gibbs and “Iron” Mike Sharpe…”Ravishing” Rick Rude vs. Brady Boone…Koko B. Ware vs. Jerry Hall…Ted DiBiase vs. Jim Evans…Don Muraco vs. Rex King…The Honky Tonk Man vs. Outback Jack. April 17, 1988: Strike Force vs. Dusty Wolfe and Rick Renslow…Ted DiBiase vs. Reno Riggins…Brutus Beefcake vs. Gene Watson…Ron Bass vs. Frank DeFalco…Jake Roberts vs. Terry Gibbs…The One Man Gang vs. Lanny Poffo…Greg Valentine vs. Brady Boone. April 24, 1988: The Junkyard Dog vs. Barry Horowitz…Bad News Brown vs. Keith Watkins…Jim Duggan vs. The Conquistador #2…Dino Bravo vs. Omar Atlas…The Islanders vs. Scott Casey and Van Van Horne…The Ultimate Warrior vs. Chick Donovan. May 1, 1988: Bam Bam Bigelow vs. “Iron” Mike Sharpe…The Honky Tonk Man vs. Jose Luis Rivera…Bret “the Hitman” Hart vs. Barry Horowitz…The Fabulous Rougeau Brothers vs. Joe Milano and Chris Duffy. May 8, 1988: The British Bulldogs vs. Steve Lombardi and Randy Brian…The Ultimate Warrior vs. The Conquistador #1…Bad News Brown vs. Reno Riggins…Demolition vs. Jerry Allen and Nelson Veilleux for the WWF Tag Team Title. May 15, 1988: Strike Force vs. Rick Gantner and Tony Ulysses…The One Man Gang vs. Mario Mancini…The Killer Bees vs. Terry Gibbs and “Iron” Mike Sharpe…The Bolsheviks vs. Brady Boone and Billy Woods. May 22, 1988: Jake Roberts vs. Steve Lombardi…Bad News Brown vs. Chris Zarna…Paul Roma and Jim Powers vs. Rick Gantner and Tom Stone…Hercules Hernandez vs. Bill Bowman…The Junkyard Dog vs. Terry Gibbs…The Fabulous Rougeau Brothers vs. Dave Wagner and Rick Renslow…Ken Patera vs. Dino Bravo ..
May 29, 1988: “Ravishing” Rick Rude vs. Jim Evans…Bret “the Hitman” Hart vs. Pete Sanchez…Ron Bass vs. Ricky Ataki…The Ultimate Warrior vs. Terry Gibbs…Greg Valentine vs. Mike Richards…The Bolsheviks vs. Buck Zumhoffe and Warren Bianchi. June 5, 1988: Koko B. Ware vs. Rick Renslow…Danny Davis vs. Brady Boone…The Honky Tonk Man vs. J.T. 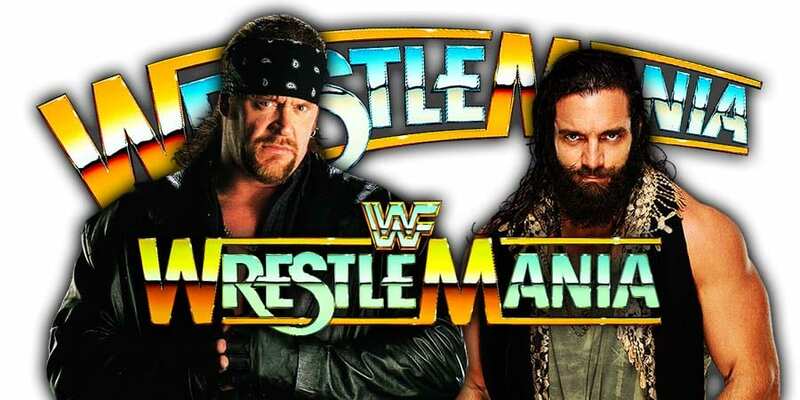 Thomas for the WWF Intercontinental Title…Jim Duggan vs. Chris Curtis…Ken Patera vs. Barry Horowitz…Don Muraco vs. Larry Simpson…Demolition vs. Tim Yates and Mike Yates for the WWF Tag Team Title. June 12, 1988: Brutus Beefcake vs. Pete Sanchez…Ted DiBiase vs. Brady Boone…Sam Houston vs. Barry Horowitz…Greg Valentine vs. Louis Spicolli…Strike Force vs. Steve Lombardi and Terry Gibbs…Jake Roberts vs. Billy Anderson…Dino Bravo vs. Scott Casey. June 19, 1988: The Ultimate Warrior vs. Barry Horowitz…”Ravishing” Rick Rude vs. Lanny Poffo…The Rockers vs. Steve Lombardi and Terry Gibbs…Ken Patera vs. “Iron” Mike Sharpe…The One Man Gang vs. Louie Spicolli…George “the Animal” Steele vs. Randy Neverman…The Fabulous Rougeau Brothers vs. S.D. Jones and Brady Boone. June 26, 1988: Demolition vs. Lanny Poffo and Jerry Allen…Dino Bravo vs. Frank Valdez…Jim Duggan vs. Stymie Richards…The Big Boss Man vs. Mark Ming…The British Bulldogs vs. Steve Lombardi and Barry Horowitz…Bam Bam Bigelow vs. The Intruder. July 3, 1988: Brutus Beefcake vs. Steven DeLeon…Ted DiBiase vs. S.D. Jones…Koko B. Ware vs. Larry Simpson…The Honky Tonk Man vs. Jerry Allen…The Rockers vs. Terry Gibbs and The Conquistador #1…Jake Roberts vs. “Iron” Mike Sharpe…Bad News Brown vs. Louie Spicolli. July 10, 1988: The British Bulldogs vs. Terry Gibbs and Tom Angel…The One Man Gang vs. Carmine Surace…The Ultimate Warrior vs. Curtis Thompson…Ron Bass vs. Brian Costello…The Hart Foundation vs. Tony Ulysses and Scott Colontonio…Don Muraco vs. Steve Lombardi…The Fabulous Rougeau Brothers vs. Lanny Poffo and Chris Duffy. July 17, 1988: Brutus Beefcake vs. Chris Duffy…Jim Duggan vs. Gino Carabello…Demolition vs. Bill Woods and Rusty Riddle…George “the Animal” Steele vs. Curtis Thompson…The Bolsheviks vs. Mario Mancini and Carmine Surace…The Junkyard Dog vs. Dusty Wolfe…”Ravishing” Rick Rude vs. Ron Stevens. July 24, 1988: The Powers Of Pain vs. Brad Andrews and Tony Parks…Tito Santana vs. Terry Gibbs…Bad News Brown vs. Dave Lanning…The Rockers vs. “Iron” Mike Sharpe and Chris Duffy…Greg Valentine vs. Mario Mancini…The Big Boss Man vs. Bill Woods…Ted DiBiase vs. Jerry Allen. 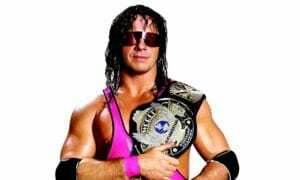 July 31, 1988: The British Bulldogs vs. Rick Gantner and Tom Stone…Dino Bravo vs. Scott Casey…The Hart Foundation vs. J.T. Thomas and Tom Dixon. August 14, 1988: Ted DiBiase vs. J.T. Thomas…Jake Roberts vs. Tom Stone…The Bolsheviks vs. Tom DeFalco and Chris Zarna…Tito Santana vs. Rick Gantner…Greg Valentine vs. Warren Bianchi…Terry Taylor vs. Scott Casey…The Big Boss Man vs. Tom Dixon. August 21, 1988: The Honky Tonk Man vs. George South for the WWF Intercontinental Title…The Fabulous Rougeau Brothers vs. Brad Anderson and Chuck Striker…Brutus Beefcake vs. Brian Costello…Hercules Hernandez vs. Bob Emery…The Hart Foundation vs. Bob Bryant and Al Kirkland…Dino Bravo vs. David Stoudemire. September 4, 1988: Jake Roberts vs. Trent Knight…The Bolsheviks vs. Brad Anderson and Chuck Striker…Haku vs. Bob Emery…Jim Duggan vs. Tony Sober…The Rockers vs. Dusty Wolfe and Larry Stevens…The Big Boss Man vs. Bobo Reeds…Ted DiBiase vs. David Stoudemire. September 11, 1988: Jake Roberts vs. Mike Williams…Demolition vs. Scott Colontonio and Tony Sober for the WWF Tag Team Title…Haku vs. Bert Centeno…George “the Animal” Steele vs. Larry Stevens…The Hart Foundation vs. Barry Horowitz and Chance McQuaid…The Blue Blazor vs. George South…The Bolsheviks vs. Mario Mancini and David Isley. September 18, 1988: The Powers Of Pain vs. Rusty Riddle and Gene Ligon…Ron Bass vs. Joe Milano…Tito Santana vs. Len Kruger…The Honky Tonk Man vs. Martin Leroy…Jim Duggan vs. Tony Ulysses…The British Bulldogs vs. George South and Trent Knight. September 25, 1988: “Ravishing” Rick Rude vs. Jos LeDuc…The Big Boss Man vs. Joe Cruz…Ken Patera vs. Chris Duffy…Ted DiBiase vs. Tommy Angel…The Ultimate Warrior vs. Trent Knight for the WWF Intercontinental Title…Sam Houston vs. Mike Williams…Dino Bravo vs. Dave Paradise. October 2, 1988: Jake Roberts vs. Larry Stevens…Demolition vs. Scott Casey and John Latu for the WWF Tag Team Title…The Blue Blazor vs. Trent Knight…Bad News Brown vs. Randy Spear…Don Muraco vs. Harley Manson…The Hart Foundation vs. Tony Sober and Gene Ligon…Ron Bass vs. Curt Todd. October 9, 1988: Brutus Beefcake vs. Randy Spear…Koko B. Ware vs. Trent Knight…The Big Boss Man vs. Scott Hudson…The Fabulous Rougeau Brothers vs. Tony Sober and Gene Ligon…Jim Duggan vs. Al Burke…The British Bulldogs vs. Barry Horowitz and George South…”Ravishing” Rick Rude vs. Joe Cruz. October 16, 1988: Akeem vs. Bob Emery…Ted DiBiase vs. David Isley…The Rockers vs. Bubba Kirk and Bob Barton…Greg Valentine vs. David Stoudemire…The Ultimate Warrior vs. Brian Costello for the WWF Intercontinental Title…Paul Roma and Jim Powers vs. “Iron” Mike Sharpe and Sandy Beach…Dino Bravo vs. Trent Knight. October 30, 1988: The Ultimate Warrior vs. Porkchop Cash for the WWF Intercontinental Title…Haku vs. Scott Casey…The Red Rooster vs. Barry Horowitz…Jake Roberts vs. Tom Burton. November 20, 1988: Jim Duggan vs. Nikolai Volkoff…Bad News Brown vs. Dave Paradise…Hercules Hernandez vs. Max McGiver…The Big Boss Man vs. Bob Emery…Jake Roberts vs. Steve Lombardi…Mr. Perfect vs. Scott Casey. November 27, 1988: Brutus Beefcake vs. John Latu…Tito Santana vs. Al Navarro…The Fabulous Rougeau Brothers vs. Tommy Angel and Rusty Riddle…The Red Rooster vs. Joe Cruz…The Rockers vs. Larry Stevens and Gene Ligon…Dino Bravo vs. Ken Patera…The Brain Busters vs. Scott Hudson and Tommy Causey. December 4, 1988: The Rockers vs. Steve Lombardi and Barry Horowitz…Koko B. Ware vs. “Iron” Mike Sharpe…Ron Bass vs. Louie Spicolli…The Red Rooster vs. Sam Houston…Mr. Perfect vs. Frank Valdez. December 11, 1988: “Ravishing” Rick Rude vs. Scott Casey…The Blue Blazor vs. Steve Lombardi…The Big Boss Man vs. Jim Gorman…Tito Santana vs. The Black Knight…Akeem vs. Ricky Ataki…Hercules Hernandez vs. Frank Valdez. December 18, 1988: Brutus Beefcake vs. Chip Evanson…The Brain Busters vs. Lanny Poffo and Jim Brunzell…Bad News Brown vs. Vito Gomez…Ted DiBiase vs. Tim Horner…Haku vs. Scott Casey.